Hybrids and energy-efficient vehicles are the future. They’ve made huge strides in recent years in technology, form and function. In fact, there are more than 40 different hybrid models available for sale in the U.S. today. 1) Hybrids have a gas engine and an electric motor (aka a “hybrid” powertrain system). The electric motor supplements the gas engine when gas isn’t as efficient, which means it uses less fuel. 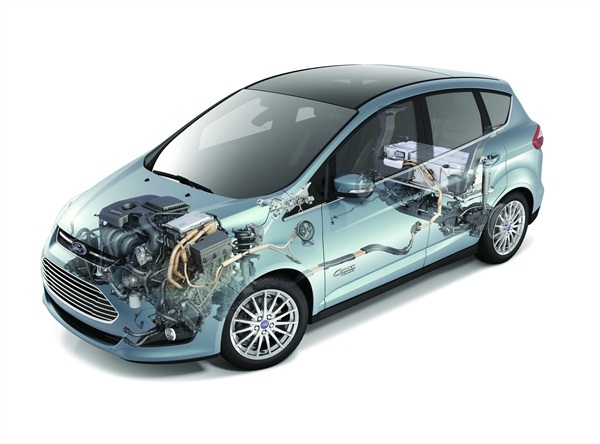 Hybrids.” These innovative vehicles boast larger batteries and more powerful electric motors. This combination allows the car to run in all-electric mode under more circumstances and for greater distances. To charge the larger battery, it’s most efficient to plug the car into an outlet, but it still will run as a conventional hybrid when the EV (Electric Vehicle) battery is dead. 2) The “feel” and sound of a hybrid is distinctly different from a normal car. 3) Hybrid braking can feel different. With some hybrids, when you take your foot off the brake pedal, you can feel the two different brake systems working. This is called regenerative braking. For a more detailed explanation of this amazing process, click HERE. 4) Hybrid vehicles brakes can last longer. Regenerative braking is pretty amazing. It not only helps recharge the battery, but it also slows the car and saves the brakes in the process! 5) Many hybrids sacrifice cargo space or flexibility to make room for the battery. Batteries are what we consider a perk! Most cars aren’t engineered solely as hybrids, so manufactures had to find someplace to store the extra battery. This results in a bit of decreased storage room, but when you think of the money staying in your pocketbook and not gushing down your gas tank, it seems like more than a fair trade-off. The Environmental Protection Agency (EPA) can help you figure out the fuel economy of YOUR hybrid or the hybrid you have your eye on. They list fuel economy numbers HERE. This also calculates the estimated annual fuel cost of each car based on driving 15,000 on $3.70/gallon gas. The fuel efficiency and resulting financial savings are huge perks and the reason why many people purchase these fantastic vehicles. The public is also becoming increasingly concerned for the health of our planet and saving valuable fossil fuel, so perhaps this is one of the most valuable “perks” of a hybrid. Curious about a hybrid now? Want to take one for a spin? The Ford Fusion Energi and C-Max Energi are waiting for you at Butler Ford in Ashland! ← Previous Post Did You Drift Your Hotwheels? Just Wait Til You Hear This! Next Post → Butler Employees Team up For a Service Win!